Horror often gets a bad rap, written off as fodder and sensational trash. This text argues that works of the grotesque, most particularly those that fit into the horror genre (including film, written works, radio plays, music, and more), are rich with content that has been largely ignored by curriculum theorists, and that this marginalization makes the genre rife for exploring the anxieties that drive people to invent these tales, leaving them fertile ground for curriculum exploration. Author James V. Grant takes a bricolage approach to understanding constructed monstrosity within cultural phenomena, using it as groundwork for autobiographical and cultural research. Through this bricolage?particularly as a means for exploring the third spaces that the monstrous inhabit and what this habitation reveals?the author problematizes not only a range of identity politics, but also the primacy of human access in educational thought, questioning the efficacy of viewing students, teachers, and schools as objectively knowable data factories. The blending of frameworks creates a Victor Frankenstein approach to uncovering what popular creations of monstrosity reveal about the anxieties of the current age, and what understanding them opens up for curriculum studies. 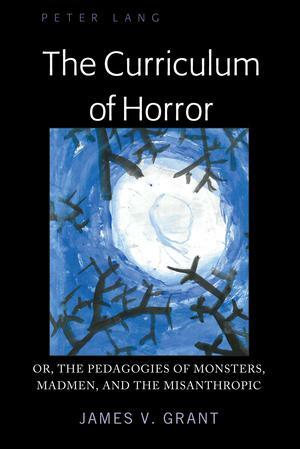 The text's arts-based inquiry into exploring monstrosity, beginning each chapter with a nightmare screenplay (based on the author's own nightmares) relevant to the subject matter at hand and ending with theoretical introspection that situates the author within the subject matter, also provides a set of examples of horror theorizing in action.